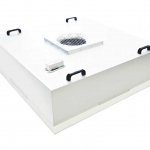 RadiFan AC FFU is a self-contained unit use in a turbulent and unidirectional flow type clean room. It is designed to suit all ceiling grid systems. 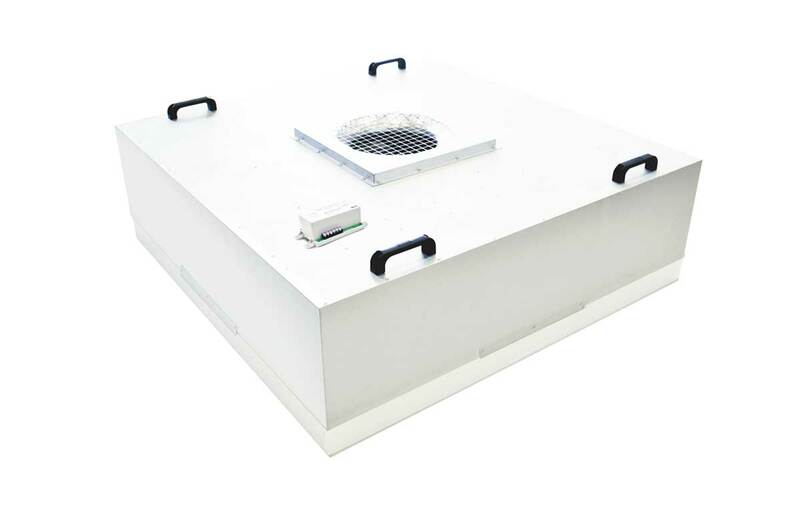 In accordance with different needs and requirements, it can be easily raised and integrated into any structure and ceiling grid system to upgrade and achieve different Cleanroom classification. RadiFan AC FFU combines a specially designed casing with a high performance A/C Fan and Aire- Plus’ unique HEPA/ULPA filter to bring top quality products to our customers. Provides an alternative pressure switch controller as well as an electronic commutating speed control. These controls would help decrease energy consumption which leads to higher costs efficiency. Specially designed casing with a strong and sturdy structure prevents leakage and eliminates all FFUs resonant frequency when operating all at once. Stainless steel casing allows users to clean with disinfectants. A pre filter can also be fitted based on requests. RadiFan AC FFU comes with an alternative 5 steps speed controller and the latest EsiDrive II electronic monitoring control system.